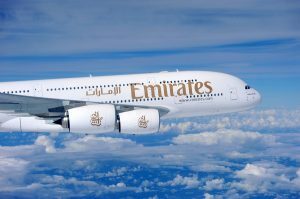 *Flights run daily from Thiruvananthapuram Airport to Dubai International Airport with Air-India Express and Emirates. It takes approximately 4 hours to fly from Thiruvananthapuram to Dubai. The time difference in Dubai is 1:30 hours behind Thiruvananthapuram and all times are quoted in local time. Flight details listed are subject to change. The nearest alternative airport to Thiruvananthapuram Airport offering direct flights to Dubai International Airport is Kochi Airport. * Please note that although we do our best to keep all the information on this page as up to date as possible, due to the frequency in which flight services can and do change it is always best to simply use the flight search box above or on the left which will show all current flights to Dubai from Thiruvananthapuram or whichever departure destination you select.